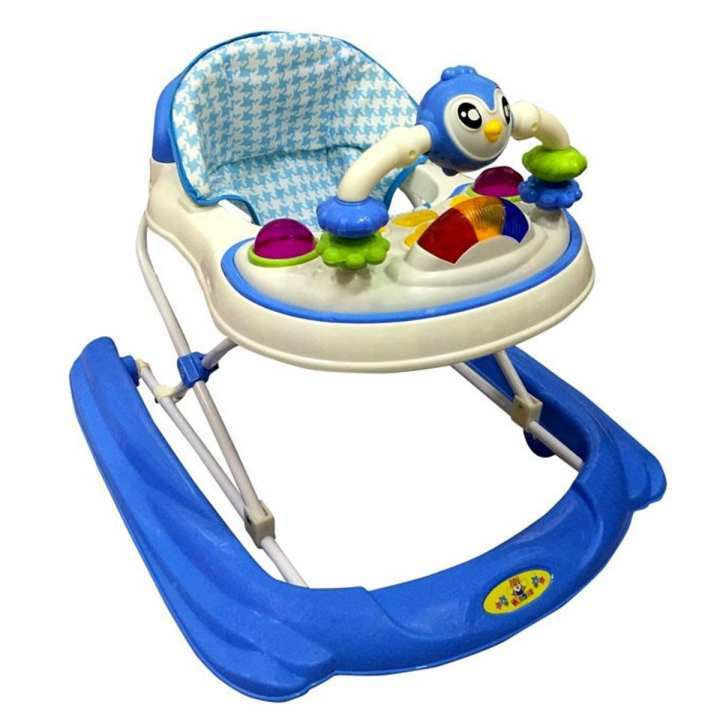 This fantastic baby walker has a bright colourful design.Great for enabling babies to explore whilst making travel a safe and enjoyable experience. This walker has an extra deep padded seat for full back support, great for ensuring that your child is comfortable while they enjoy exploring their surroundings.It also has a multi-position height adjuster that includes a safety lock, ideal for adjusting to suit your growing child's needs.Your child will love the interactive activity tray which can be removed for when the child is eating or drinking etc.The seat is washable, perfect for cleaning up any food or drink that have spilled. Designed for children aged 6+ months and that can sit unaided. This walker is not intended for children who can walk by themselves or weigh more than 15kg.